What are Easter Egg Radishes? 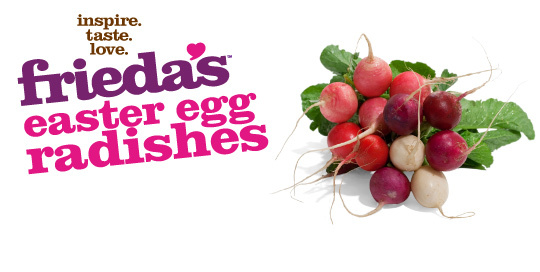 Easter Egg Radishes offer a delightful array of pink, red, lavender and white radishes. The pastel color combination and egg-like shape of the radishes are reminiscent of dyed Easter eggs. Easter Egg Radishes have a crisp, white inner flesh with a mild yet slightly zesty and refreshing flavor. The flavor is essentially the same for each color radish, although darker colors may have a subtly sharper taste. Enjoy fresh and use to add color to salads and a variety of dishes. Slice thin and layer on buttered bread with salt and pepper. Wash thoroughly before using.